Learning experience please,it’s great to see the marine corps back in business they were candle that drew my moth to your writing. Debt of War (Kat Falcone), please. Would like to see another Kat Falcone book as soon as possible. As for future writing plans, well you know me… A Learning Experience gets my vote !!! Firstly let me add my best wishes and thoughts on your continued improvment. It is always good to read these updates. Secondly Yay! for more AR, and I would put my vote/wishes for more TLE stories please. Most importantly, keep gwtting better! Germany and Japan both got hit hard during the Age of Unrest and, by the time they recovered, the Great Powers were well ahead of them. Fingers crossed that you keep progressing on the medical front. Any chance of some more in the “Inverse Shadows” universe series? Thank goodness you’re doing better. AR would be amazing. After this trilogy it could be fun to see when the ship that started it all was brand new or the troubles on earth to get a little backstory. I just love the universe. Really glad to hear that you are doing better. Hope you get positive results from the scan. I vote for Zero 6. Best wishes. One vote for Zero 6 here. Zero 6, then more SIM. Glad you are improving! Glad you’re feeling better. Looking forward to your next books. I’ve become a fan with your books. Have a great time with your family. I love Kat and Sim and A Learning Experience. The Zero books are good but it would be good to go back to the core story for me. That said your health and family are the most important and if you write it I will probably read it. Zero 6! Or the 17th SIM HAHAA!!! My FAVORITE!!!! I am so glad you are doing somewhat better! Best of luck, we are all rooting for you! I’m very happy to see you’re planning to write lots of new books.. Maybe it means your health is really going better! Very good! But now.. 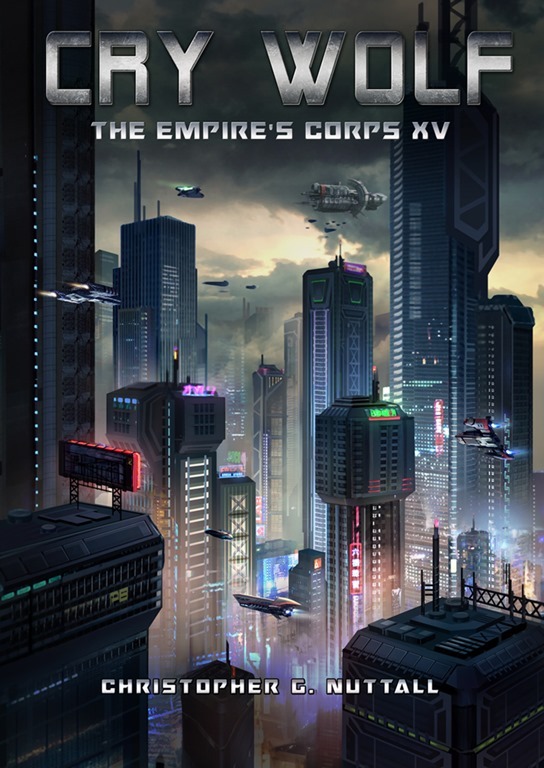 Your question: first I’m getting mad waiting new Empire’s Corps books (please note I’ve used the plural!) .. Ark Royal… Angel in the Whilrlwind…. All about sci-fi.. Not fantasy… Personally I’m less interested in A Learning Experience too. Ah! One last question, going back to the Empire’s Corps.. Where are the Marines thet run with the last young Emperor? Are you planning to make them reach the Commonwealth? Or something like that? And at the time of the Wolfsbane war what’s on in the Central Worlds? The Commonwealth is going to meet new treats? Please Chris… Don’t let me (and the others Empire addicted readers) down!!! SIm is my favorite but after tat I like the ark Royal and Kat falcone Series a lot. But I really enjoy fantasy and magic. I would also enjoy a more modern fantasy style stories but you have currently quite a few stories running already. But truthfully, anything that gets your motor going works for me. Cheers.